With three generations of experience serving the region with state-of-the-art memorial monuments, Milano Monuments also supports the community with related services to help during this difficult time. Explore our related offerings below to learn more about how we can provide for you. Contact us if you have any questions or would like to learn more about our services. Milano Monuments offers a cemetery decoration and delivery service with unique flower arrangements and other decor for your family. We have been delivering decorations to memorials in the Cleveland area since 1969. Learn more about our flower delivery service and offerings. 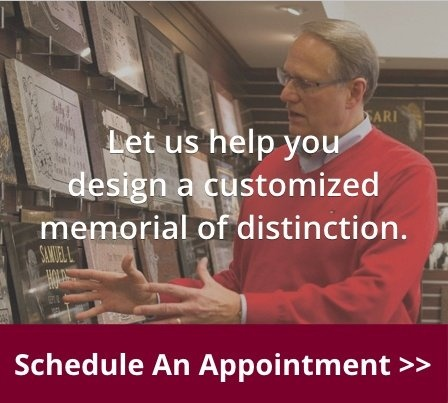 As a proud member of the Monument Builders of North America (MBNA), discover why you can purchase with confidence when choosing a headstone, grave marker or mausoleum from Milano Monuments. Learn more about our association with the MBNA. Are you a funeral home or B2B monument company? Partner with Milano Monuments to provide one-of-a-kind designs from our expertly skilled memorialists. Learn more about partnering with Milano Direct.